It hasn’t always been that way. Born in rugby-mad Cardiff, Wales, Taylor’s interests probably aren’t surprising but the Hong Kong perch he occupies is as good as any to oversee a vast domain. 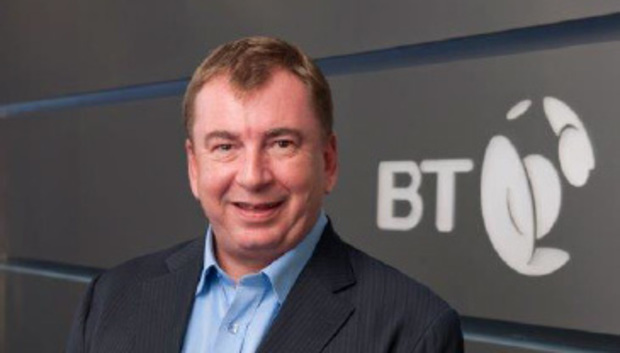 He covers – and… breathe - Asia-Pacific, the Middle East, Africa & Turkey, and the Eastern Mediterranean in his role as regional president for BT Global Services, the communications and IT services wing of the UK-headquartered telecoms giant. Taylor has been in outsourcing and ICT services most of his career after spells with Capita Group, James Martin and firms that were eventually subsumed into the modern-day IBM and Fujitsu. Today his customers include Air China, Wipro, Emirates Airline, Etihad Airways, HTC and many others and he argues that today’s challenges are well suited to BT’s enormous network and skills. “I’ve come all the way from the mainframe days and what you’re seeing now is a huge focus on managed services,” he says, speaking by conference call from his Hong Kong desk. “Security is also a huge focus and it’s very difficult to manage your security around the world without the latest knowledge. And of course there’s the cloud where Taylor expects a boom as companies in the regions he serves loom for low-risk, low-capex projects. “There were 1,000 different variations about what the cloud is and now it has settled down and companies are relaxed about sharing noncritical data in the cloud,” he says. Business, he says, is brisk with BT hiring “across the board” to add to the 5,000 people under Taylor’s aegis, growth is in double digits and operating costs are flat thanks to big investments already in place. It hasn’t always been plain sailing. In 2009, BT Global Services wrote off £340m ($511m), blaming lax cost controls. Today, however, having invested in acquisitions and growth strategies to spread its capabilities and geographic options, Taylor is bullish about his company’s role in a globalising business world. China remains a curate’s egg scenario with BT lacking a licence to operate as a carrier there. Taylor shrugs off the idea that collapsing oil prices will lead to caution. Even the Edward Snowden affair is not casting too many shadows, Taylor insists. Even the rather precarious state of geopolitics is just a reminder to be conservative. I suggest that his empire must make for lots of air miles but in fact Taylor says his most recent trip was a Dubai holiday and, like a good telco man, says telepresence can ease the burden. But Taylor is confident that “globally we’re very far in the lead” of other telcos, despite the best efforts of multinationals like AT&T, Verizon and Orange or regional players like Singtel and Telstra. Most people might still know of BT as the British carrier but in fact it’s very much an international concern and Taylor says the race to capitalise on a fast-changing world has just started.